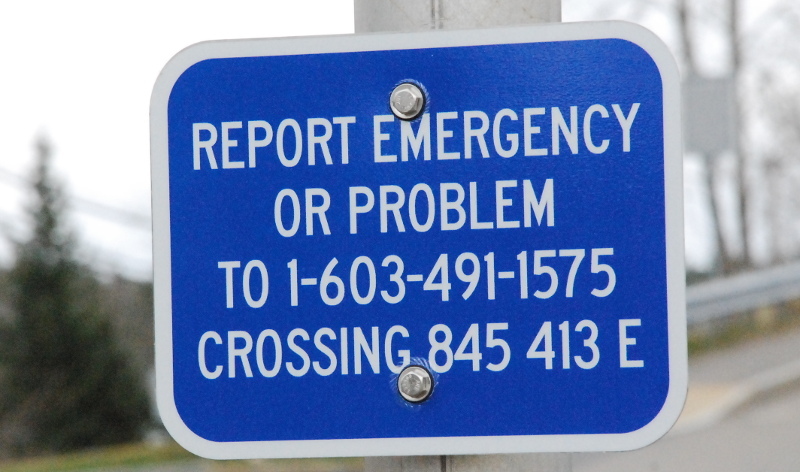 To report an emergency or problem with a crossing, locate the blue sign with the DOT crossing number, and call the Emergency Operations Center. Disclaimer: These links, and others on this site may lead you to webpages that are managed by third-parties, and the New England Southern Railroad cannot be held responsible for their content. Please email the Web Foreman with your comments.